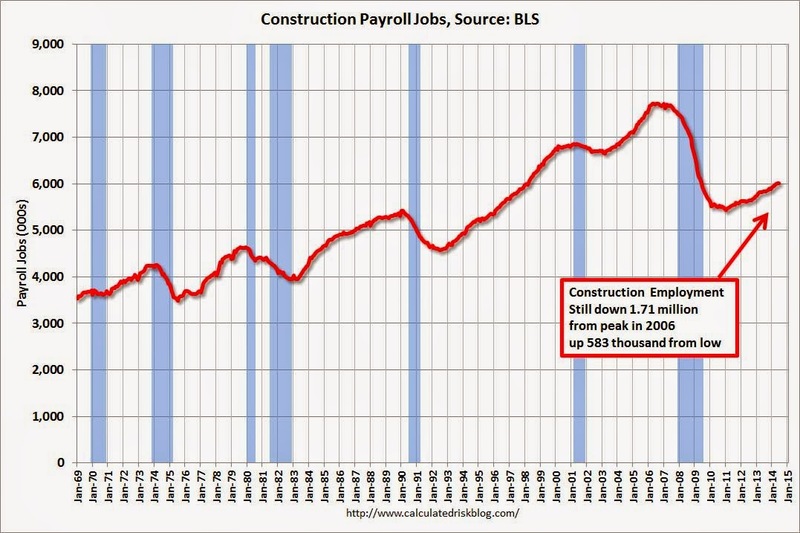 A chart from Calculated Risk reveals the climb in construction employment since the depths of the recession. The chart, built using data from the Bureau of Labor Statistics, shows that employment is still down 1.7 million since its highpoint in 2006, but up over half a million since its lowpoint in 2011. Click here to view the complete chart.